The Syrup Dispenser, by Joie, is made of durable clear plastic. It has a drip free, smooth flow mechanism. 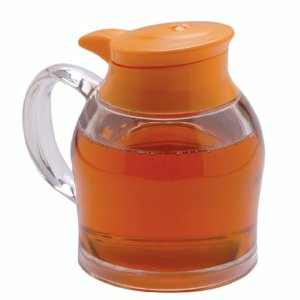 Attractive and convenient design, plus the Syrup Dispenser eliminates mess and needless cleaning time. 8-ounce capacity.